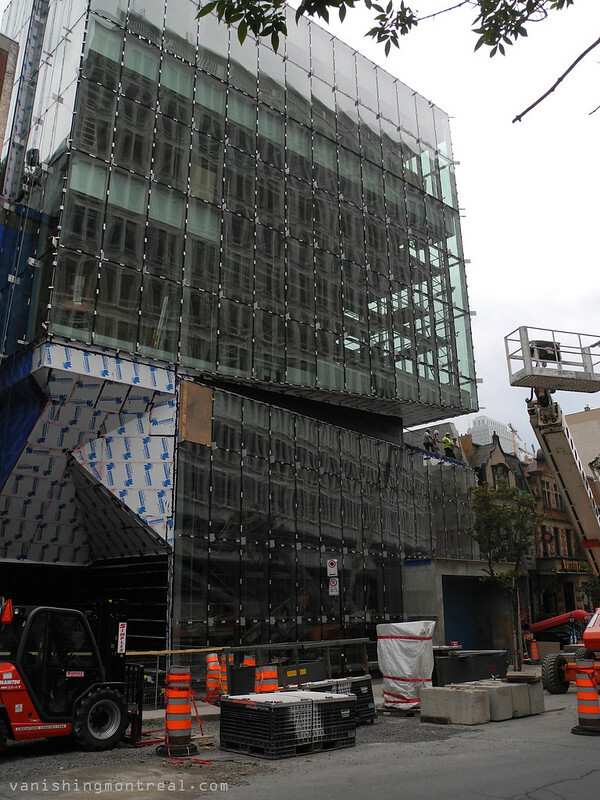 Construction workers building the addition to the Montreal Museum of Fine Arts wave at me. I still don't know what to say about this. It seems out of place but I'll have to wait once everything is completed. This is a rare shot. Most construction workers have been uncooperative with me. 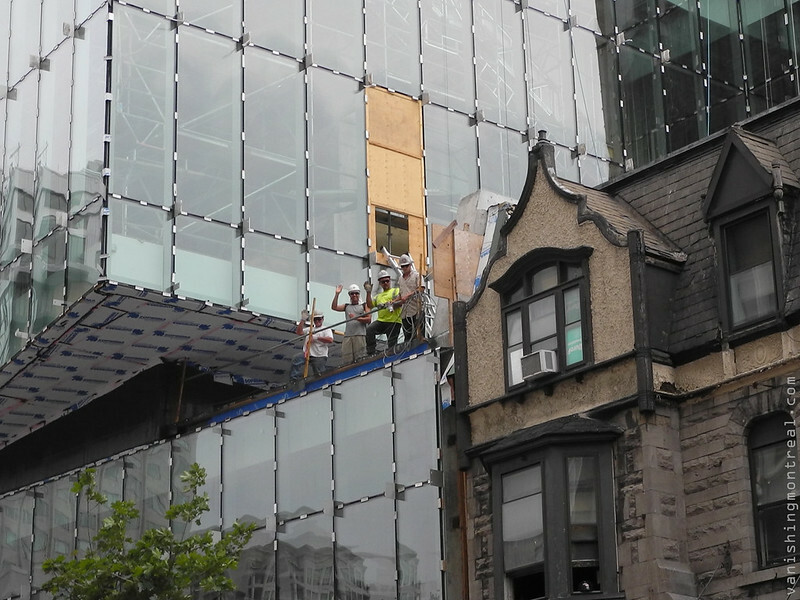 Des travailleurs de la construction de l'addition pour le Musée des beaux-arts de Montréal me salut. Je ne sais toujours pas quoi dire à ce sujet. Il semble hors de proportion vis a vis le voisinage mais je vais avoir à attendre une fois que tout est terminé. Ceci est une photo rare. La plupart des travailleurs de chantiers de construction ont été peu coopératifs avec moi. Construction workers are usually not the friendliest bunch but these guys seem to be in a good mood. Unfortunately for them, they are working on a big pile of glass encrusted crap. The architect of this monstrosity should be made to go up the stairs of Saint - Joseph's oratory on his knees while praying for forgiveness from all the great architects that have ever lived.